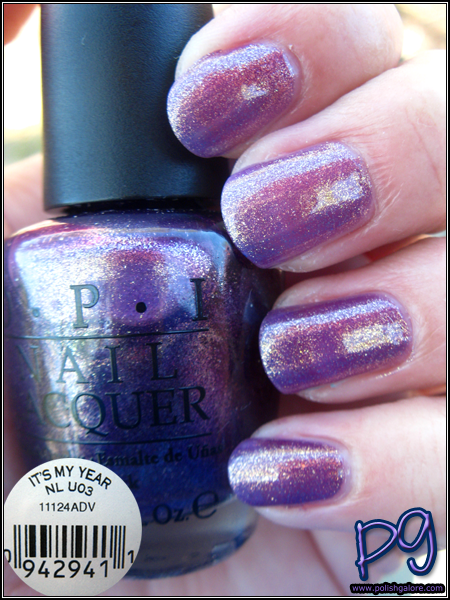 Continuing with the Miss Universe collection - here's It's My Year, a purple base with gold microglitter. It's like the sister of Rally Pretty Pink. 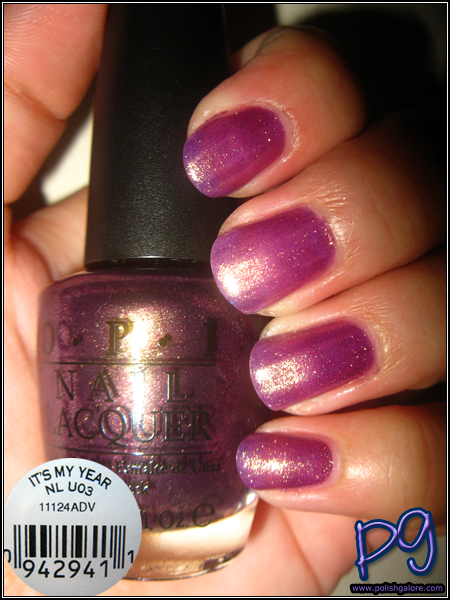 I used a base coat of OPI Natural Nail, 2 coats of polish, a top of OPI Top Coat. Formula was great but as you'll see in my pictures, not as opaque as I thought. Here in the sun, you can see what I was talking about as far as the opacity of this polish. While I love the color, not a huge fan of seeing my nails. A base coat of white would help cover your nails and make this color pop. I had to snag a picture in some indirect sunlight (semi-shade). 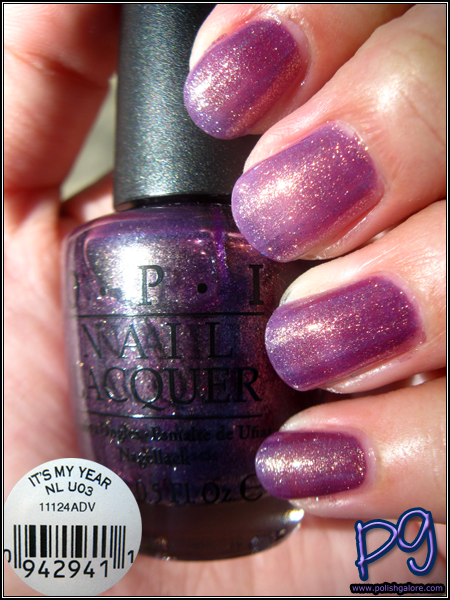 Seriously, this purple slays me. It's just a nice beautiful orchid like color. Shade picture - the gold isn't nearly as strong here, which is interesting because on my swatch card, all I see is gold. And finally indoors with the flash - lots of visible nail for me. Boo! 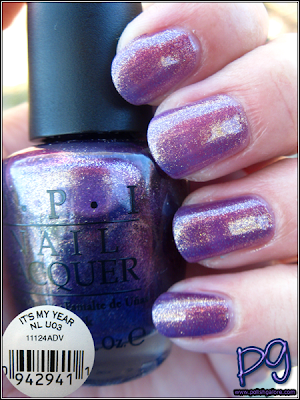 I love my Orly Oui but I may have to get this one too!